When you praise and worship God do you sometimes find your vocabulary lacking? There are songs that talk about not having the words to explain how you feel about God. These days “Good” doesn’t seem good enough. Let’s place weight and value on the word “Good”. Let’s use it more in our praise. If God uses it on Himself let’s follow His example! Sometimes it’s the simple things that are just, right. 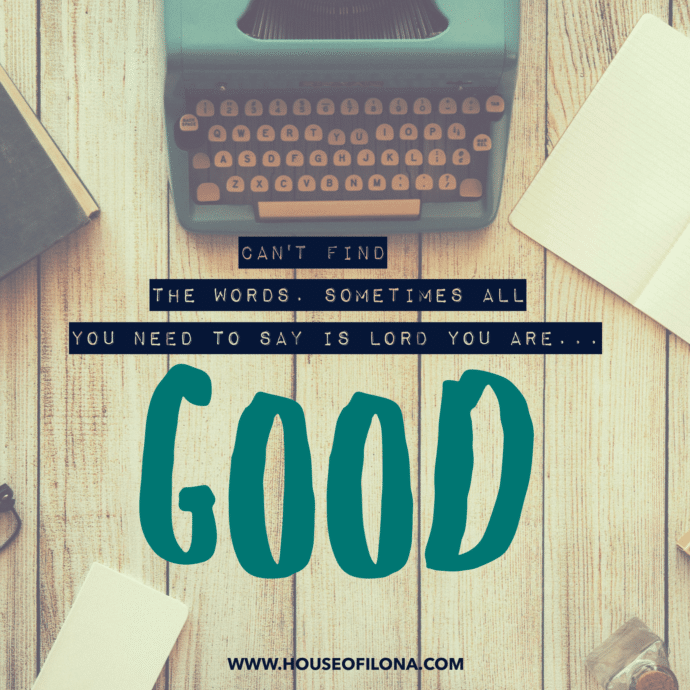 This entry was posted in Blog and tagged @houseofilona, Lord you are Good. When would you wear a White Clergy Dress?